While hundreds of London police continued a massive search Friday, racing to find out who placed a homemade bomb on a packed London subway train during the morning rush hour, the U.K. government raised the national threat level to "critical." The explosion injured 29 people and ignited a panicked stampede to safety. 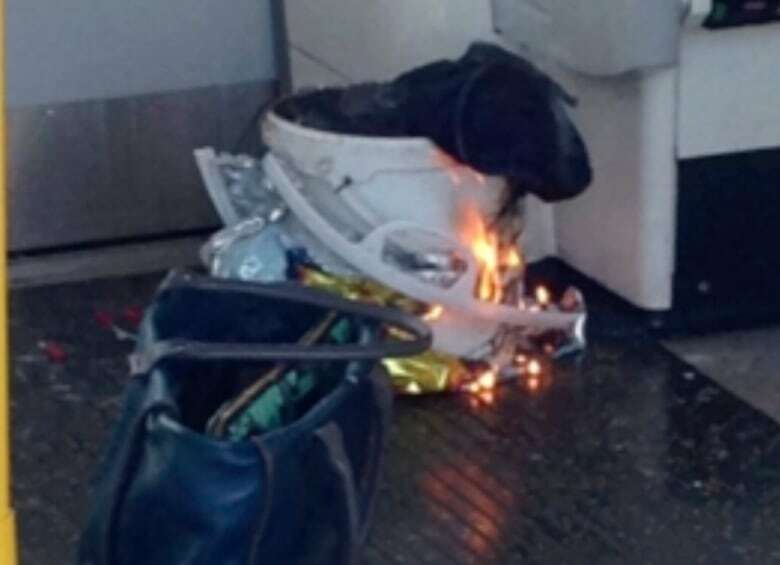 A homemade bomb planted on a rush-hour subway car exploded in London on Friday, injuring 29 people and prompting authorities to raise Britain's terrorism threat level to "critical," meaning another attack may be imminent. The early morning blast sparked a huge manhunt for the perpetrators of the fifth terrorist attack in the British capital this year. Prime Minister Theresa May, acting on the recommendation of the Joint Terrorism Analysis Centre, raised the country's threat level from "severe" to "critical" — its highest possible level. May said military troops would augment the police presence in a "proportionate and sensible step." Still, to the relief of authorities and Londoners, experts said the bomb — hidden in a plastic bucket inside a supermarket freezer bag — only partially exploded, sparing much worse carnage. ISIS claimed responsibility for the attack, which it said was carried out by an affiliated unit. 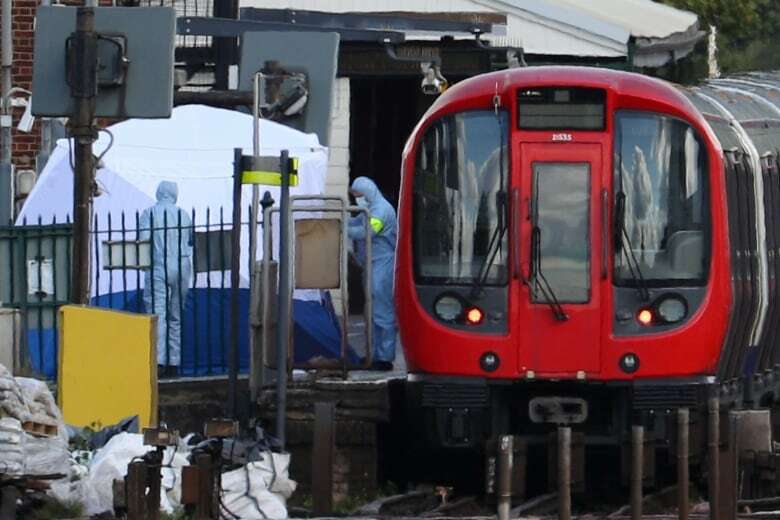 The bomb went off around 8:20 a.m. as the train, carrying commuters from the suburbs — including many schoolchildren — was at Parsons Green station in the southwest of the city. Witness Chris Wildish told CBC Radio's As It Happens there was a moment of calm, "and then it was chaos. It was people climbing over seats and over others, and shouting and screaming, just trying to get away from the device." "I just saw out of the corner of my eyes, there was a flash of light," said Wildish, who was in an adjacent train car from where the explosion occurred. "And as I looked over, there was a flash of flame that shot kind of from the floor up into the roof of the train, and then very quickly followed by a very strong smell of chemicals." Commuter Richard Aylmer-Hall said he saw several people injured, apparently trampled as they fled. Friday's attack involved the "detonation of an improvised explosive device," said Mark Rowley, head of counterterrorism for the Metropolitan Police. Terrorism analyst Magnus Ranstorp of the Swedish Defence University said that from the photos it appeared the bomb did not fully detonate, as much of the device and its casing remained intact. 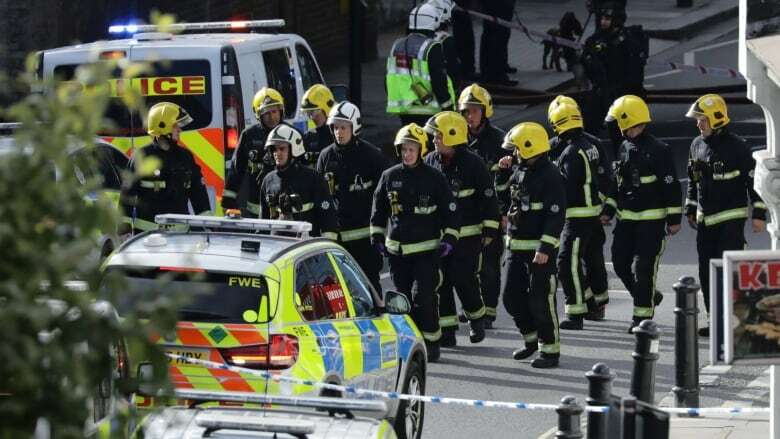 Police and ambulances were on the scene within minutes of the blast, a testament to their experience at responding to violent attacks in London. In its recent Inspire magazine, al-Qaeda urged supporters to target trains. Rowley said officers were sifting through surveillance footage and examining the remains of the device. "This is a very complex investigation which is continuing at speed," he told reporters. "We are chasing down suspects." British police have investigated five other attacks this year, which killed a total of 36 people. The other attacks in London were on Westminster Bridge and near Parliament, on London Bridge, near a mosque in Finsbury Park in north London and outside Buckingham Palace. Another attack took place in Manchester on May 22. British authorities say they have foiled 19 plots since the middle of 2013, six of them since the van and knife attack on Westminster Bridge and Parliament in March. Police and MI5 say that at any given time they are running about 500 counterterrorism investigations involving 3,000 individuals. The London Underground, which handles five million journeys a day, has been targeted several times in the past. In July 2005, suicide bombers blew themselves up on three subway trains and a bus, killing 52 people and themselves. Four more bombers tried a similar attack two weeks later, but their devices failed to fully explode. Loser terrorists must be dealt with in a much tougher manner.The internet is their main recruitment tool which we must cut off &amp; use better! Statistics: Operation of police powers under the Terrorism Act | UK Govt.